A HUGE congratulations to all of our TEAM SUNDANCE competitors who competed at Nationals last weekend in Calgary. Our athletes trained hard and the results showed. 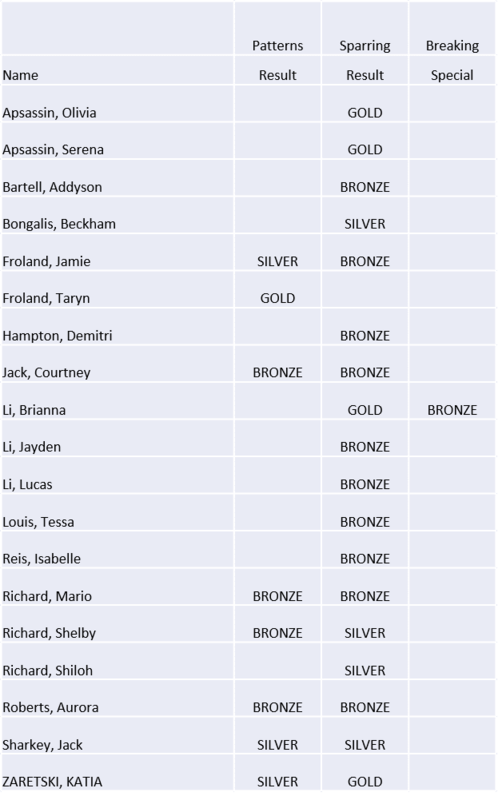 We sent a team of 19 competitors and returned with 27 medals (5 GOLD, 7 SILVER, 15 BRONZE) See below for all of the results and a link to the story in The Morning Star. Miss Brianna Li has also qualified to represent Canada at the World Championships in Inzell, Germany next April by becoming National Champion in her category. Mr. White will be joining her as he has also been selected to the National Coaching Staff. They will both be travelling to Montreal for the National Team training camp in January. We could not be prouder of our team and their accomplishments. This is only the beginning! The future is bright!